Ideal for business and leisure travellers alike, the hotel offers the ultimate in flexibility with studio and one bedroom apartments that can interconnect to provide comfortable two bedroom accommodation. Reflecting the Mantra hallmarks of offering stylish decor, quality service and great locations, the hotel combines the benefits of hotel services with freedom and flexibility befitting a private city apartment. All one bedroom apartments include lounge and dining areas and fully equipped kitchens to provide the ideal home away from home, while studios and one bedroom apartments share a laundry with washing machine and dryer and feature 32 inch LCD TVs and tea and coffee making facilities. The hotels guests enjoy fabulous services including 24 hour reception, room service, free wireless internet access in lobby and public areas, babysitting, daily room servicing and foreign currency exchange. Guests can also splash out in the outdoor heated swimming pool, work out in the new fully equipped gymnasium or dine in the on site restaurant which serves modern Australian cuisine in a relaxed atmosphere. 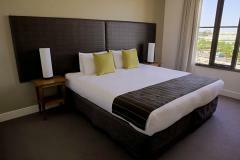 From the hotel guests are located close to some of the citys major sporting, entertainment and tourist attractions. 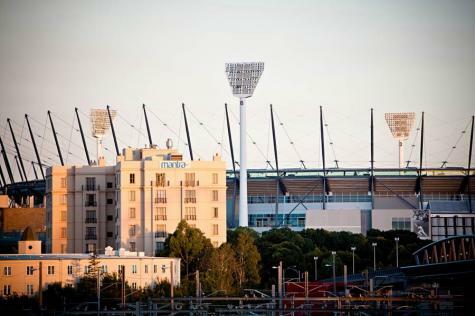 The MCG, Rod Laver Arena, Melbourne Park and the Fitzroy Gardens are on the hotels doorstep while Federation Square, National Art Gallery, World Trade Centre and Crown Casino are also within easy reach. Extremely limited car parking is available on site at Mantra on Jolimont at a cost of $25 per vehicle, per day. Spaces are subject to availability on a first come, first served basis and cannot be guaranteed under any circumstances. Your car may be moved to an off-site location when parking with us. Alternative self parking options are available within a 10 minute walk from the property. At check in, a credit card is required for $100.00 pre authorisation or $300 cash bond to cover all incidentals during your stay.